The Destructor is a guy who enjoys destroying stuff. Like the Joker, he’s hard-wired for chaos. But he wasn’t always this way. As a younger man (then known as Dr. Simon Sito) he once experimented with methods of altering the brain physically to treat mental illness. Sito’s radical radiation therapy turned out to be a crushing failure. Instead of curing mental illness, he unintentionally sparked a superhuman mutation in his test subjects. In other words, Dr. Sito, the Destructor, the most feared supervillain in Commerce City, accidentally created the first generation of superheroes. That’s not ironic; that’s super ironic. Many years later, the Destructor and his progeny are still fighting each other to a frustrating stalemate. Ultimately, it’s a tax fraud hiccup that puts the Destructor behind bars. The police want to lock him up for the rest of his life, and Celia West, certified public accountant, is on the case. Celia is the daughter of the two greatest superheroes in the city—Captain Olympus (the Golden Thunderbolt!) and Spark—but the most exciting thing she ever did was win a silver medal in a high school swim meet. She didn’t inherit her parents’ super DNA, and she’s spent her entire life trying to figure out her path in the world. Naturally, Celia is not alone. Lots of kids have identity issues. But not many kids have Superman and Wonder Woman as their parents. Celia is 25 years old and she’s lived her whole life in a bell jar. As a result, After the Golden Age is equal parts superhero novel and coming of age novel. The author has done an excellent job balancing high-voltage superhero action with quieter moments of personal reflection and insight. Plus, there’s a little bit of romance too. The book ends with an American Graffiti-like wrap-up. But we’re hoping this isn’t the end of Celia’s story. Hopefully there will be a silver age sequel. Looking back it’s easy to see how Dr. Sito’s failed experiments turned him into a monster. Celia West’s path in life, on the other hand, was a little more complicated. We’re happy to report that she finally figures everything out. 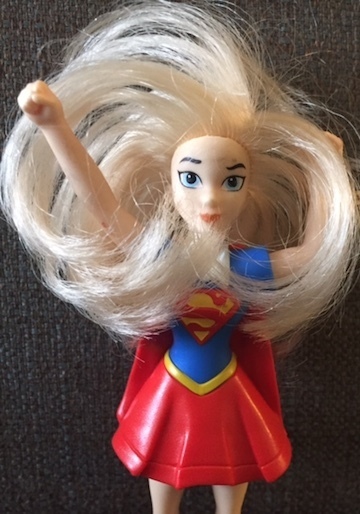 Being born without superpowers gave her options. That’s something the Destructor and her parents never had. 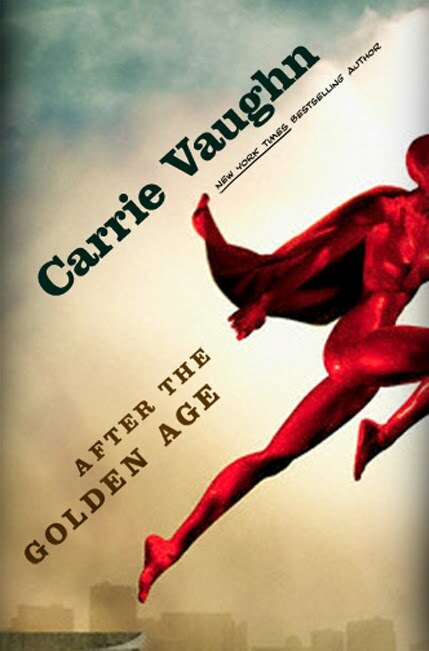 This entry was posted in Published in 2011 and tagged After the Golden Age, Carrie Vaughn. Bookmark the permalink.